The countdown to doomsday is underway in this "...gut-wrenching, eye-opening blast of a movie experience..." (Jeff Craig, Sixty Second Preview). Mimi Leder directs, guiding an all-star cast featuring Robert Duvall, Tea Leoni, Elijah Wood, Vanessa Redgrave, Maximilian Schell and Morgan Freeman. 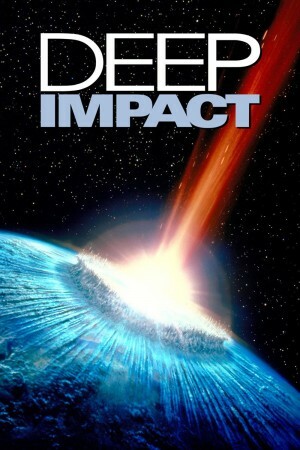 With the film's dynamic fusion of large-scale excitement and touching, human-scale storylines, Deep Impact makes its impact felt in a big and unforgettable way.